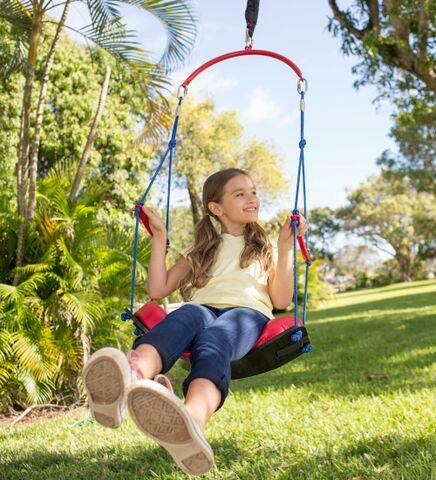 Swing or bounce with this fun swing! You can even remove the bungee-supported seat, hang from the rings and pretend to be acrobats. Adult installation and supervision required. Weight limit: 115 lb. Dimensions: L: 64" x W: 39"